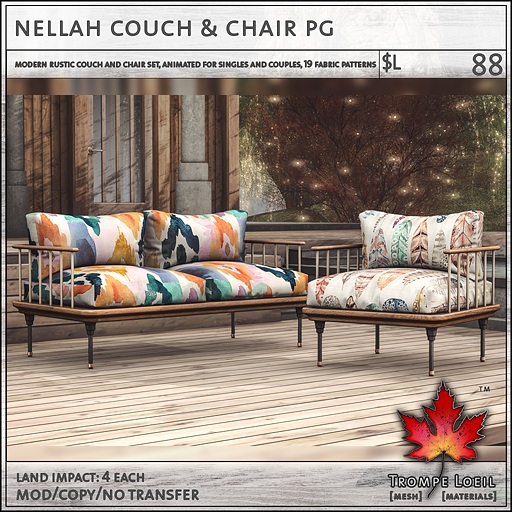 Sweet, simple, rustic/modern for all settings – the Nellah Couch & Chair Set for Collabor88 September will be your go-to decor, inside and out! 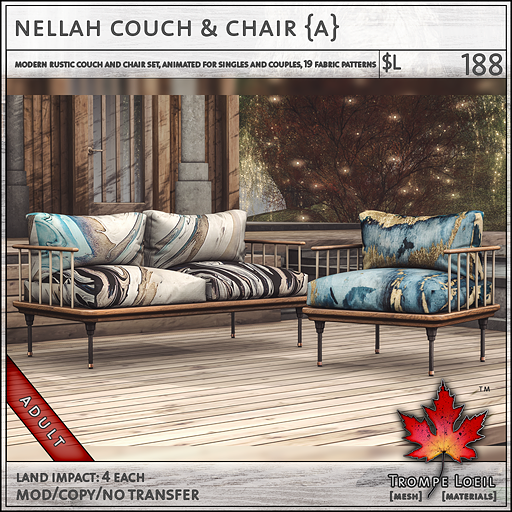 The Nellah Couch & Chair Set features smooth crafted oak wood frames and overstuffed linen cushions with 19 different fabric patterns on touch, in your choice of maturities for singles and couples. 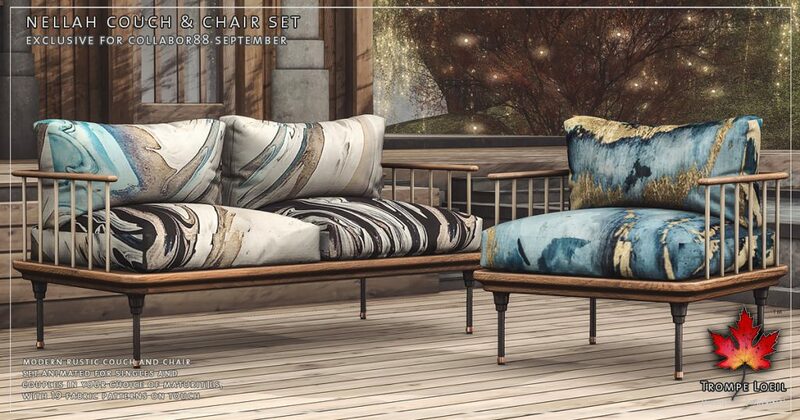 Simply stylish for any room, at great Collabor88 prices for the month of September!